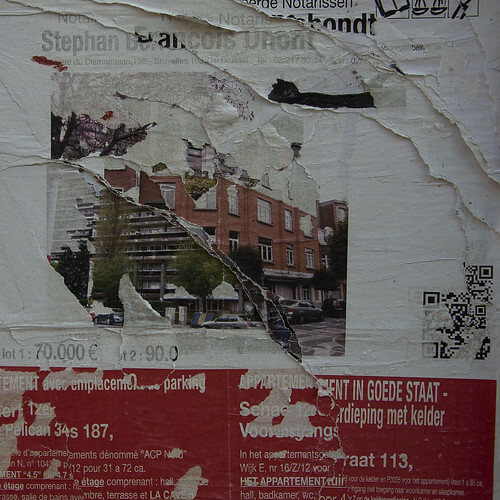 In some places in Brussels, there are still walls entirely intended to receive advertising posters. 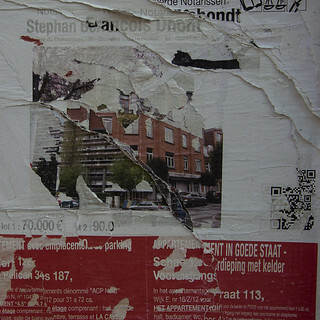 The accumulation of posters stuck to it and the tears that reveal the images below give rise to strange paper landscapes. With the implementation of LED advertising screens, advertising posters are called to disappear in the near future and this will be the end of those ephemeral paper landscapes.